It was during a spring break mission trip to Honduras during her freshman year at Franciscan University of Steubenville that Andrea first heard the Lord calling her to full-time mission work. She was so moved by the work the missionaries were doing there and wanted to, similarly, give her life to the Lord and His people, but thought that life as a full time missionary wasn’t going to be an option for her. Fast forward three years to a recent graduate looking for a job in education, a job everyone told her she would have no trouble finding, and yet, no one even wanted an interview. It was on a particularly low day that she first came in contact with Saint Paul’s Outreach. As Andrea stood there talking to the missionaries, she remembered that call to full-time mission work and her heart was so moved that she applied for a position to work and live in community with college students seeking to live a life for the Lord. This is not what she would have planned for herself but the plans that the Lord has for us are even greater than our own. 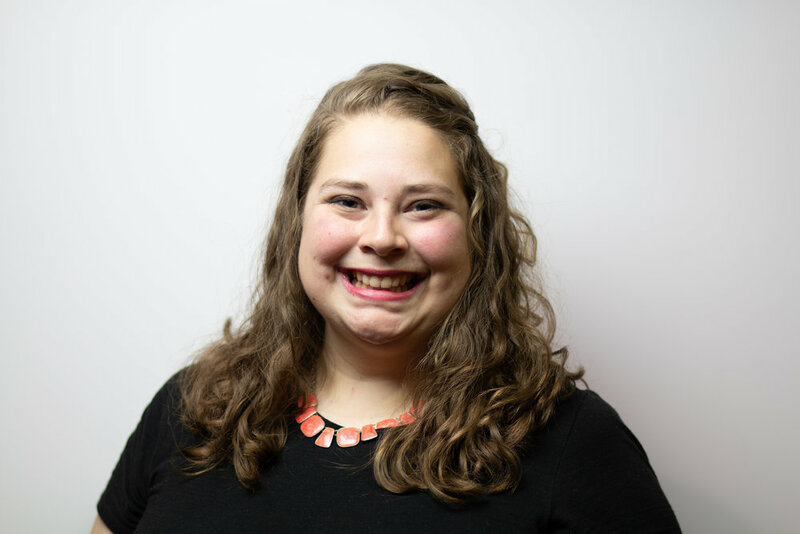 In her second year on staff with SPO, Andrea is excited to be serving as the Operations Mission Leader for The Ohio State University. Born and raised in Fresno, the heart of California’s Central Valley, Andrea has a deep love of Mexican food, In-N-Out Burger, and enjoying the California sunshine. In her free time Andrea enjoys reading mystery and historical fiction novels and listening to Broadway cast recordings while trying to learn all the alto solos. Although she will always be a California girl at heart Andrea has a special place in her heart for the Buckeye State and is excited to be back in the place where the Lord worked powerfully in her life. After a beloved coach, friend, and father figure passed away unexpectedly in a car accident shortly after high school graduation, Cory found himself asking some of life’s biggest questions as he headed off to start college at Ohio State University. It was there that he first encountered Saint Paul’s Outreach and began answering some of those questions. An SPO missionary walked with him throughout his freshman year and taught him what a personal relationship with Jesus looks like. During his senior year at OSU, Cory had an opportunity to work as an administrative intern with SPO. It was during this time that God began to plant a call in his heart to unite his passion for ministry and his education in business. As the Director of Operations for the Ohio Mission Center, Cory is passionate about using the gift of administration to support the mission in Columbus and make missionaries more effective at bringing the gospel to college students. Alissa originally hails from Crystal Lake, Illinois. At 18, she left the 'burbs of Chicago and made her way to the great state of Ohio where she began college at Franciscan University of Steubenville. She graduated in 2013 with degrees in Theology and Catechetics (with a concentration in youth ministry.) While studying ministry, the Lord put a call on her heart to serve college-aged young adults. She is passionate about helping college students navigate the waters of our culture and one of her greatest joys is seeing them make decisions for Christ that will set them up to live joyful and faith-filled lives after they graduate. Since 2013, she has been serving the mission of SPO in Columbus, OH. She's blown away by the generosity of the Lord to call her into such a rich and fulfilling life! She and her husband Joe enjoy cooking, being outside, and hanging out with their son, Jack. Her favorite Scripture Verse is John 15:12-13 "This is my commandment: love one another as I love you. No one has greater love than this, to lay down one’s life for one’s friends." Follow Alissa's SPO mission here. Andrew is a proud native of Columbus, Ohio, and a graduate of The Ohio State University, where he studied Philosophy. He also holds an M.A. in Theology from the Pontifical College Josephinum. After attending the School of the New Evangelization in 2004, Andrew decided to bring Saint Paul's Outreach to its first non-Minnesota campus. Together with his sister, Natalie, Andrew inaugurated the work of Saint Paul's Outreach at OSU and has watched in amazement as it has grown exponentially. Andrew and his wife, Carmen, have been happily married since the summer of 2010, and are blessed with three sons: Simon, David, and Josiah; and a daughter, Bernadette. His favorite scripture passage is Philippians 2:1-11. John was born in Dallas, Texas as the second oldest of five and is a seventh generation Texan from his mom's side. He is a proud graduate of Cistercian Preparatory School and Texas A&M University where he majored in Economics. Following college he decided that spending a couple years giving back to the Lord wouldn't be a terrible idea, so he became a missionary with Saint Paul's Outreach. Well, as it turned out, John actually enjoyed serving as a campus missionary, especially the part about forming boys into men so their future wives and bishops don't have to. His time in SPO has taken him to San Marcos, Texas, Columbus, Ohio, Kansas City, and now back to Columbus. John and his wife, Anna, have a daughter named Eleanor (Ellie) and they are big fans of having people over for food and/or football. And maybe a board game or two. John's hobbies include golf, books, people, sports, and the occasional YouTube session. If you want to push his buttons, just start bashing Tony Romo. His favorite scripture verse is from Isaiah 55, "All you who are thirsty, come to the water! You who have no money, come buy grain and eat...why spend your money for what is not bread? Your wages for what fails to satisfy?"